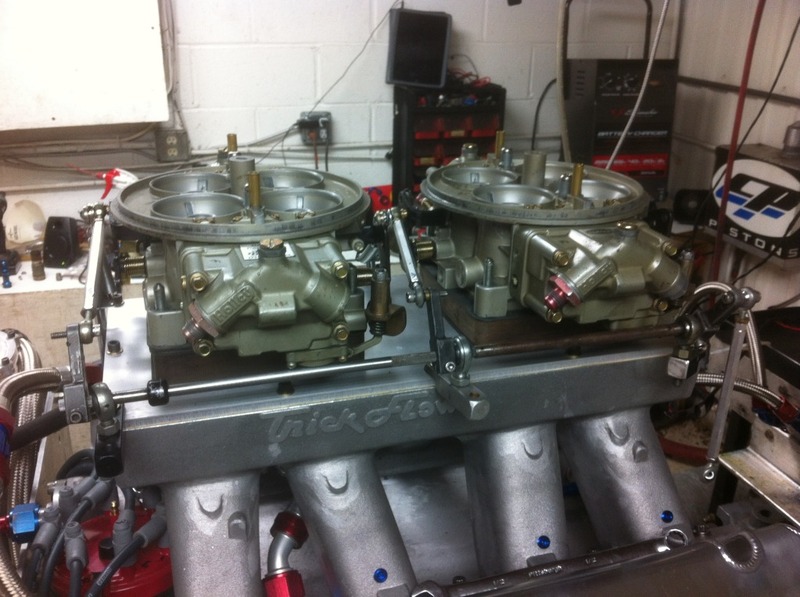 Late in December 2012, I posted some dyno ramblings about my new 618” A460 Interceptor engine. 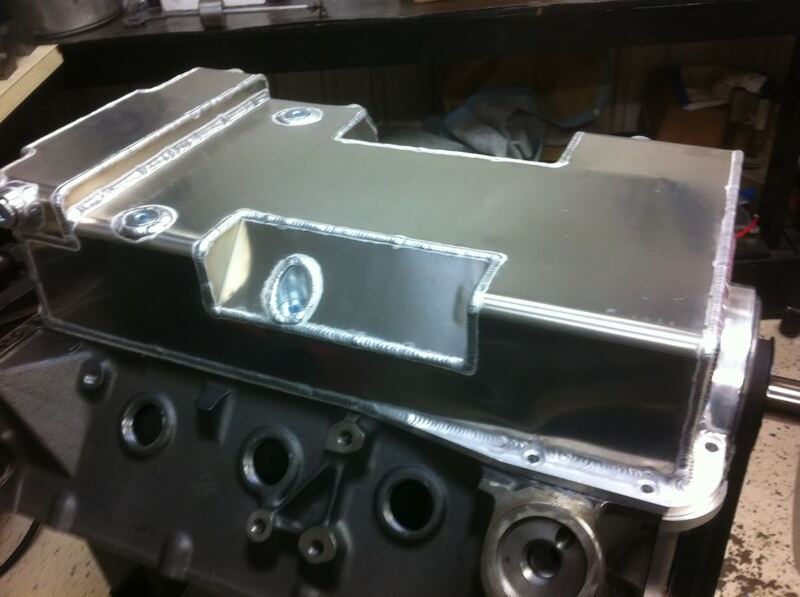 Here is the lowdown on the build. 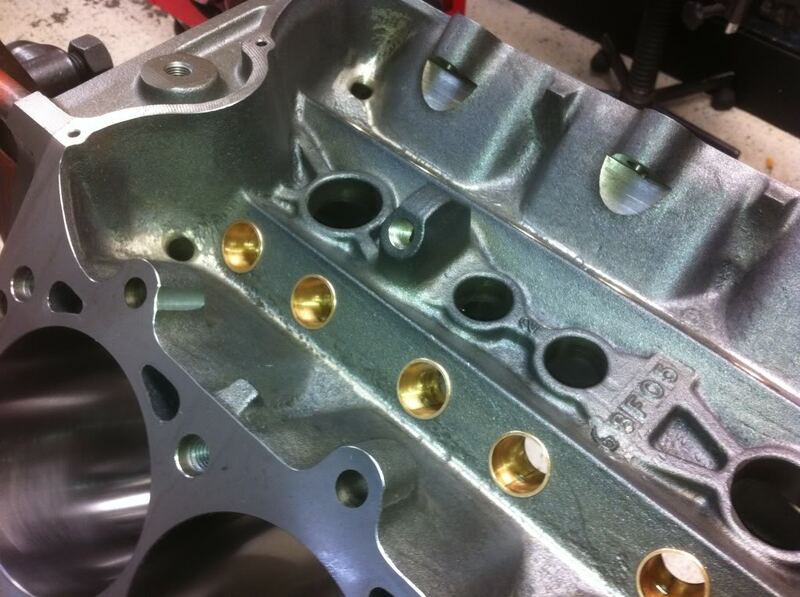 This is the first engine that I have ever done in my 42 year automotive career where I machined all of my own parts, developed my own port and combustion chamber derivative with all of the flow work, hand work and CNC preparation, ported the crap out of my own manifold and assembled and dyno tested the whole thing. 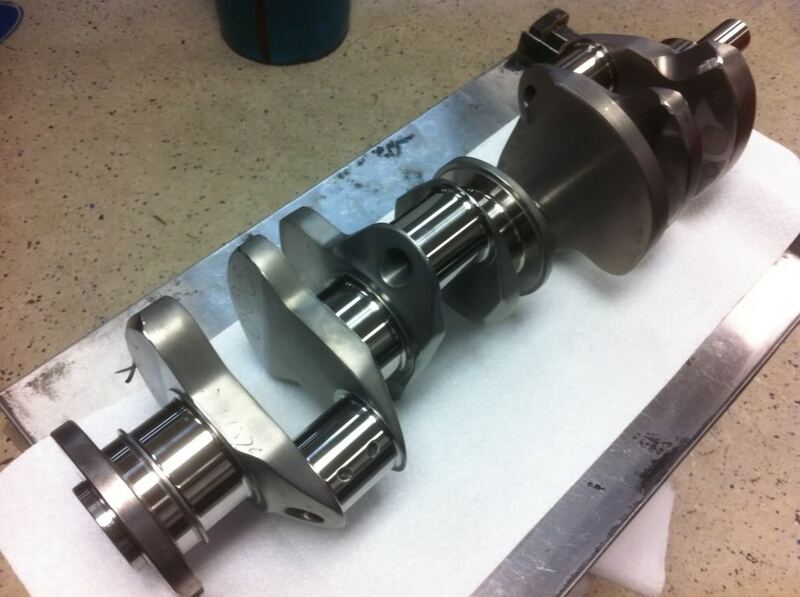 Normally I would outsource portions of the machine work and assemble and dyno the final product. 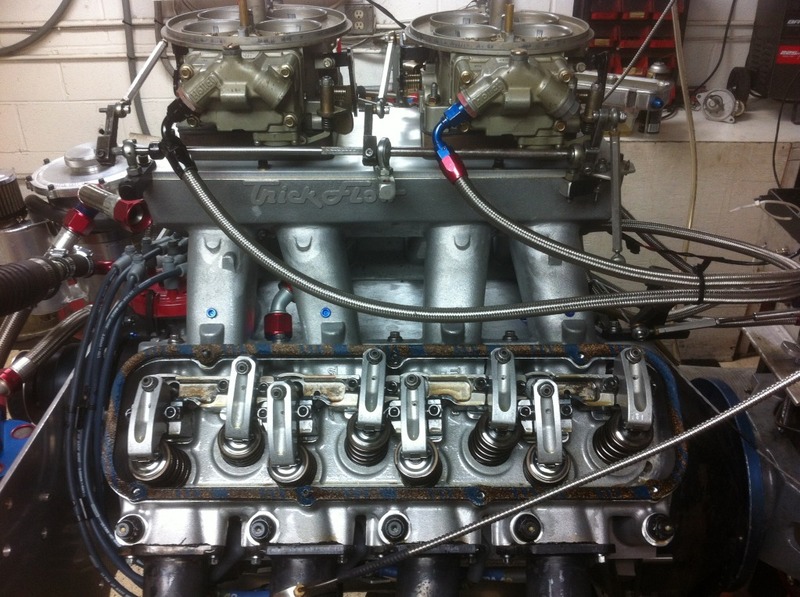 All of the work was performed at Engine Systems Racing Engines (ESI) shop in Tucker GA, where I shamelessly used all of Ted Fischer’s equipment. 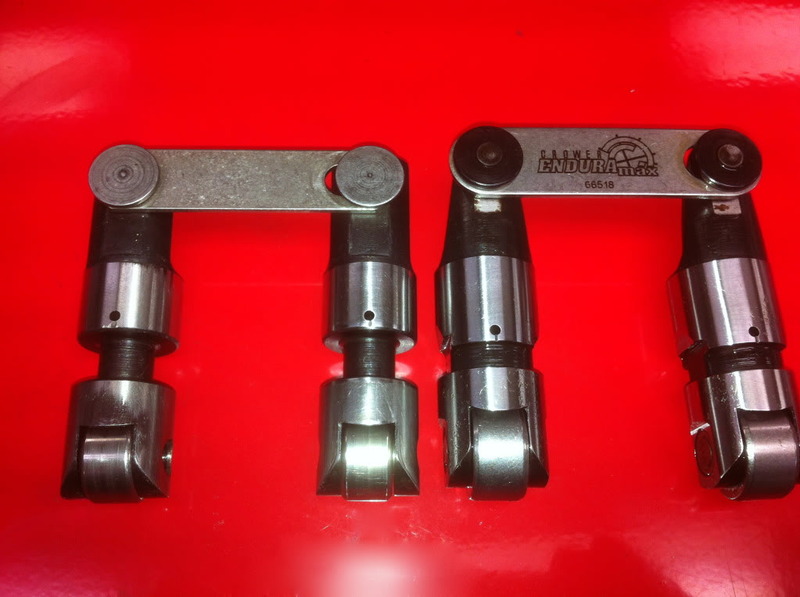 The project is based on an Eliminator Premier block that went through the standard preparation process that all ESI Eliminator blocks receive with inspection, deburring and a few minor tweaks. 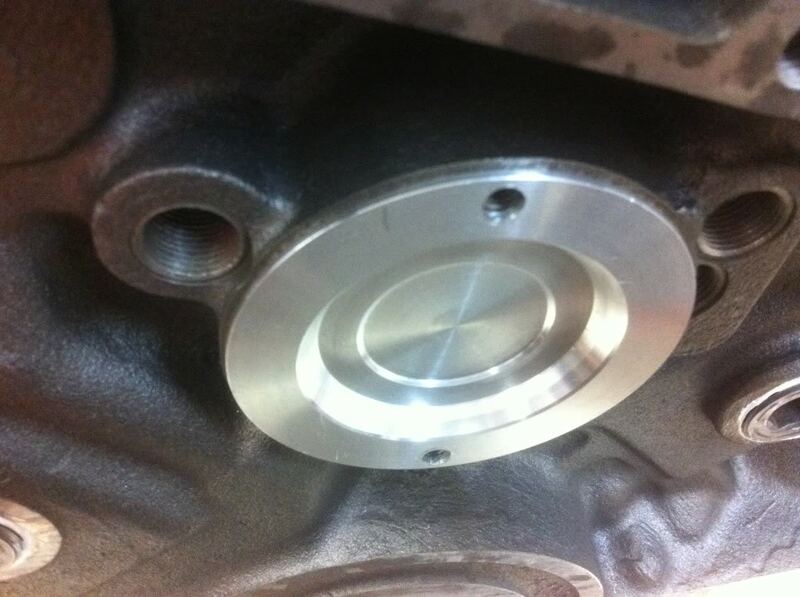 The block was bored and honed to the final bore of 4.675”, decks were skimmed to give a nice finish for the Cometic head gaskets and the main bearing tunnel was line honed to a happy dimension. 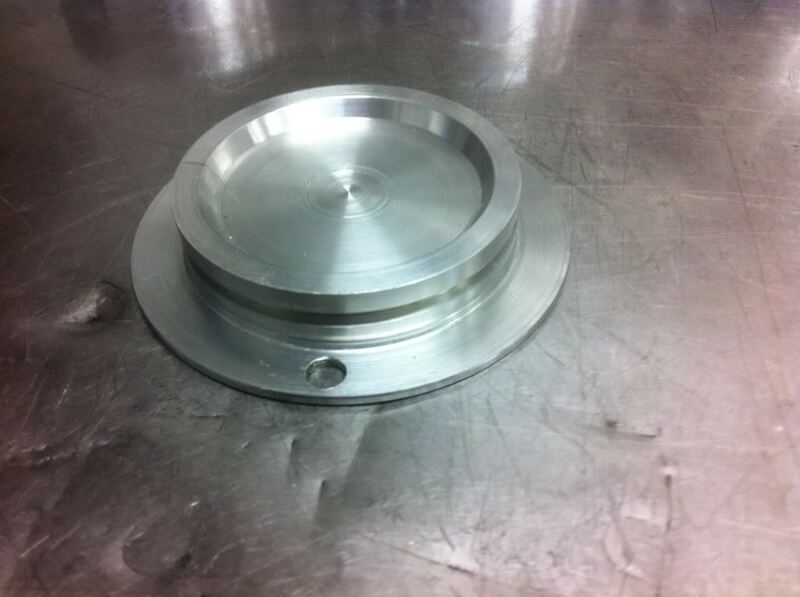 The lifter bores were bored out and bushed to a final .937” bore. 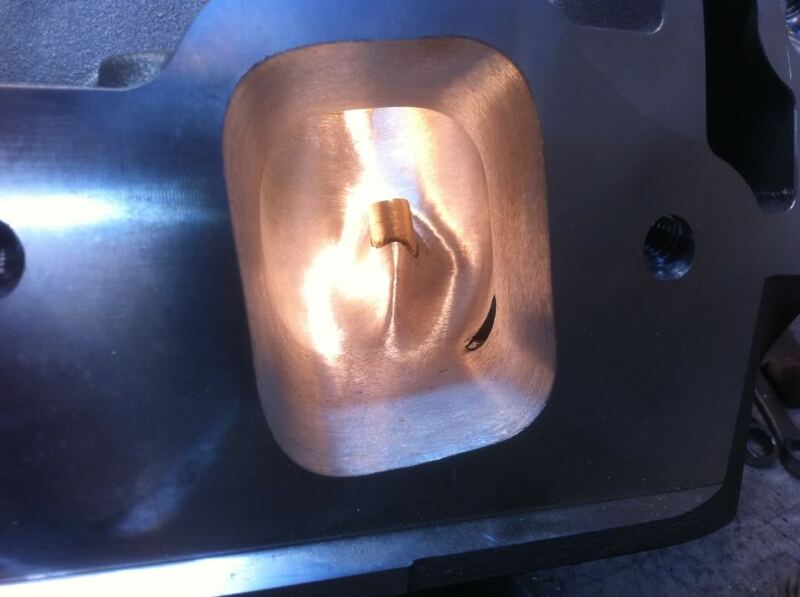 The cam tunnel was punched out to accommodate 60 MM roller bearings and a billet rear cam plug was whittled out and installed. 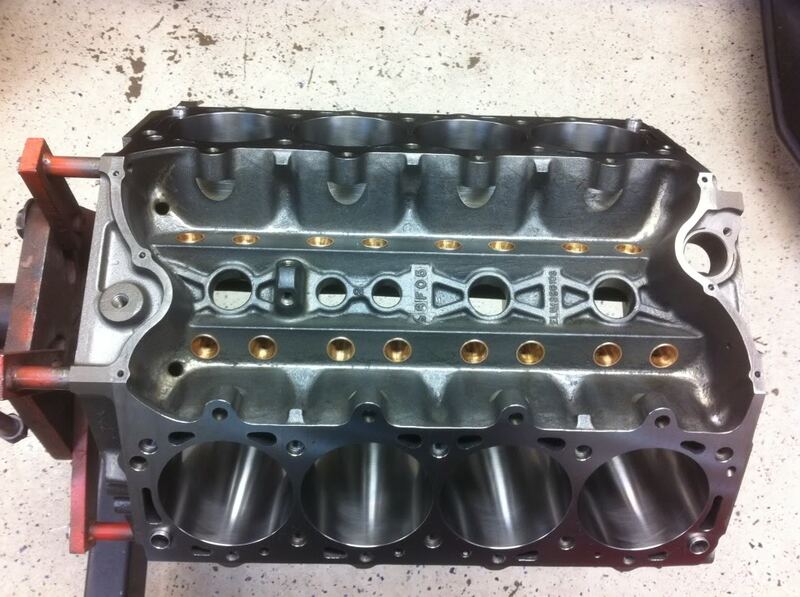 The cylinder heads are the thing that really sets this engine apart from my other BBFs. 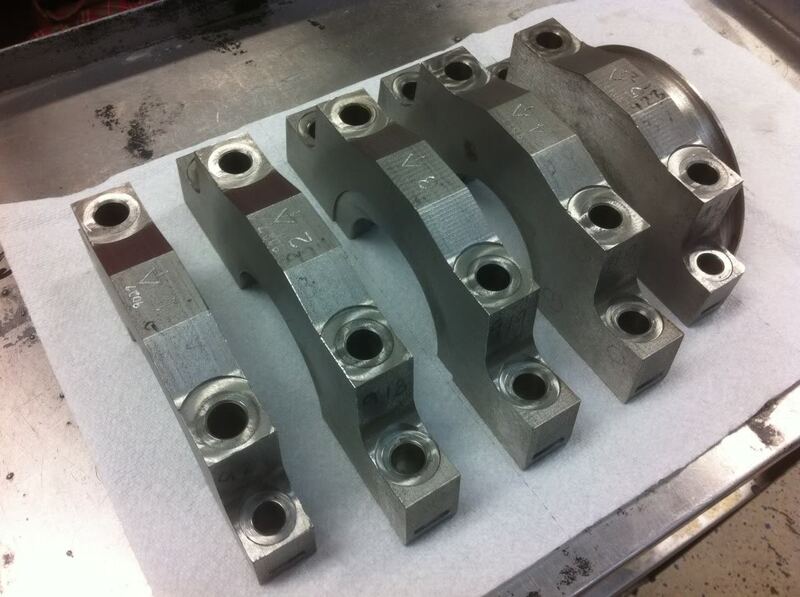 I took a set of normal Trick Flow A460 18-bolt head castings and modified them to outflow a well prepared C460 head. 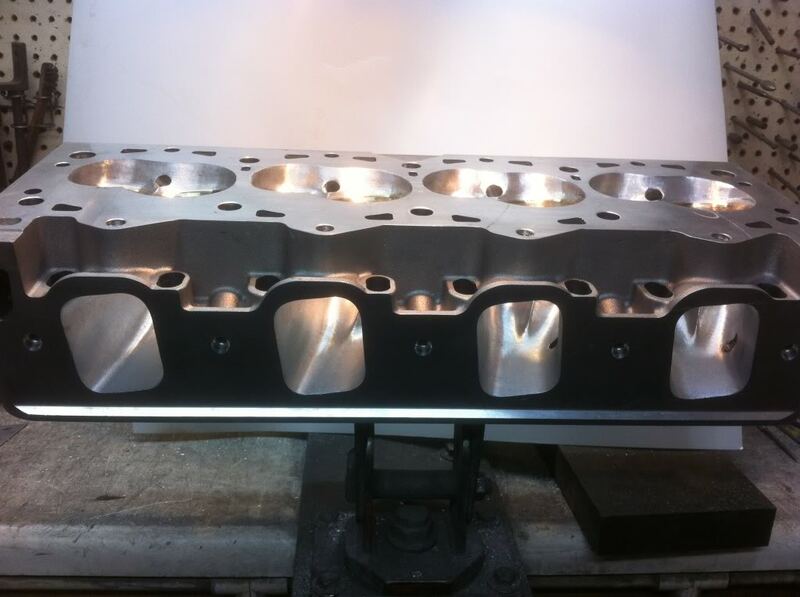 I call this cylinder head project the Interceptor, due to its top-end capabilities. 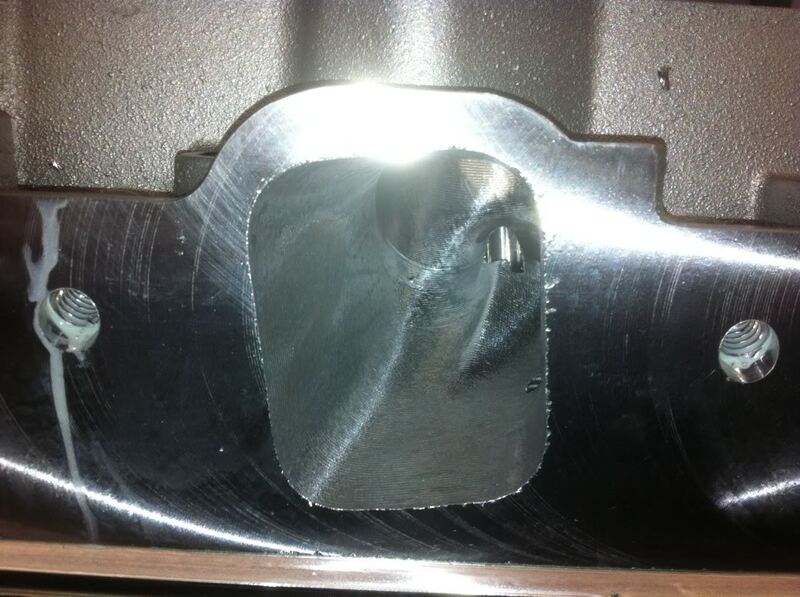 The intake port was intended to flow 500 CFM at .900 as the project began. 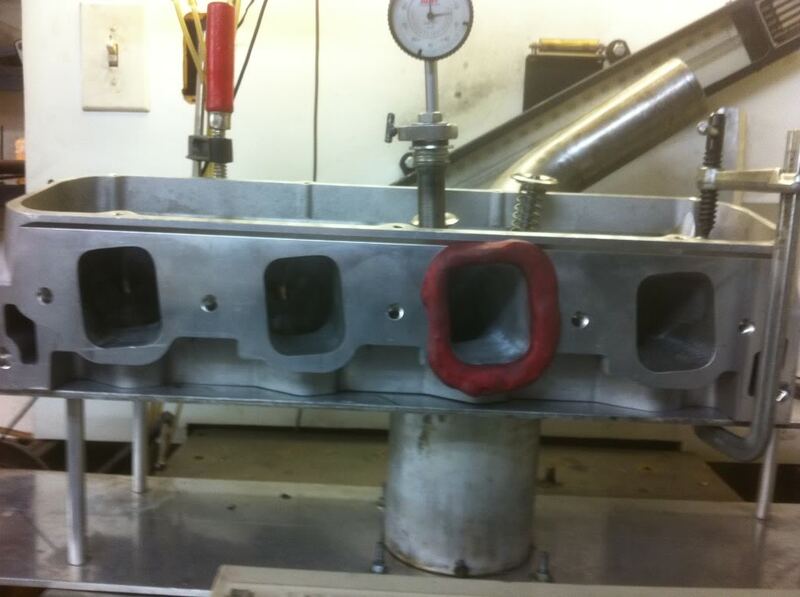 End result was a port that flows about 533 CFM on the intake and 400 on the exhaust at .900”. The port resembles a Thor GenII in entry area and port configuration. 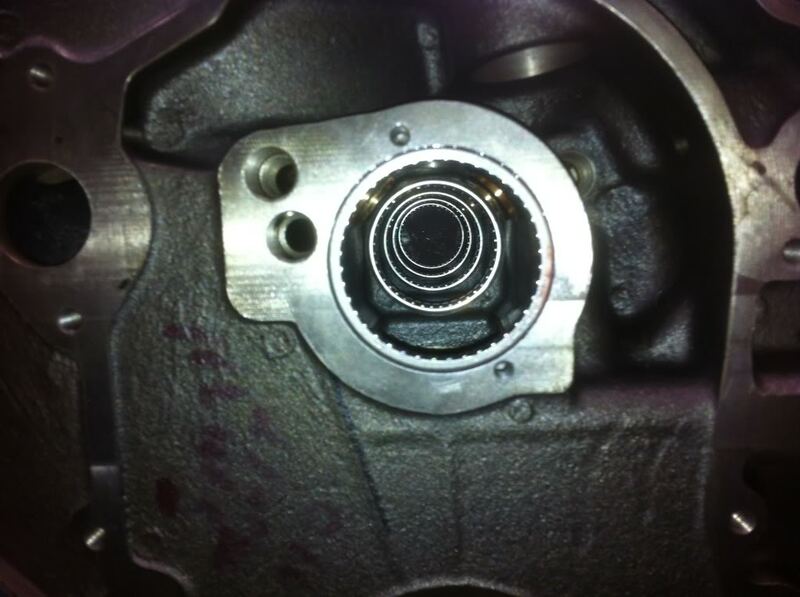 The port is “twisted” slightly to match the angle of the intake valve and very large. 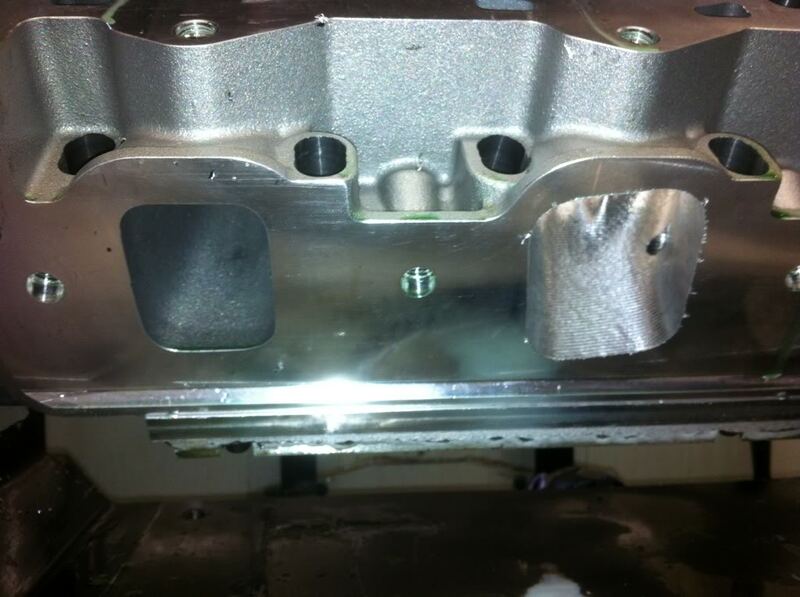 The intake port is about 412 CC. 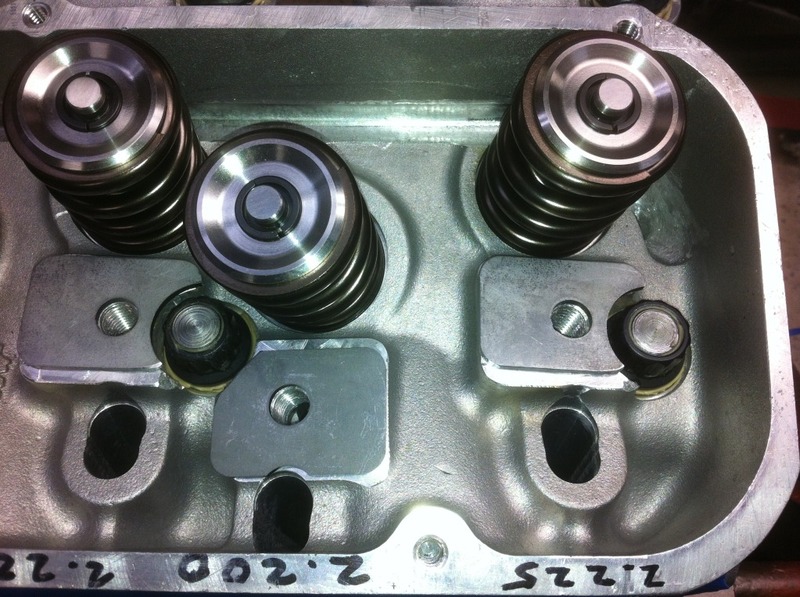 For the big bore of the 618, I selected a 2.5” intake valve and 1.82” exhaust valve from Ferrea, both made of titanium. 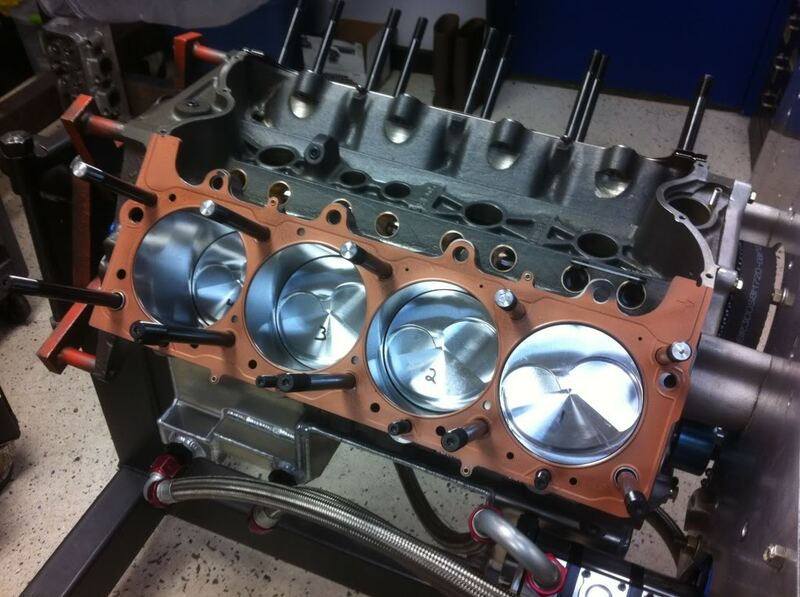 The beryllium/copper valve seats are of custom size for the Interceptor head and use a proprietary valve seat mojo that belongs to Engine Systems. 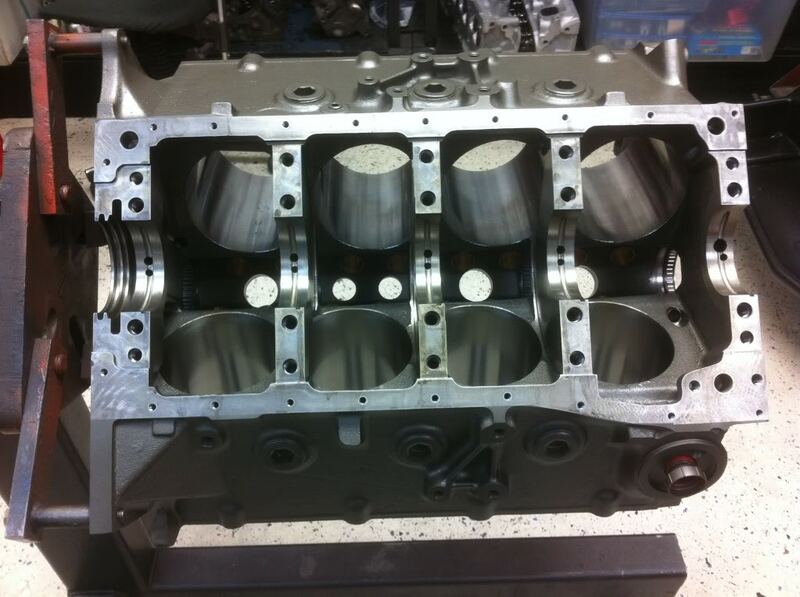 The valve job is typical of the Thor headed engines that ESI has built. 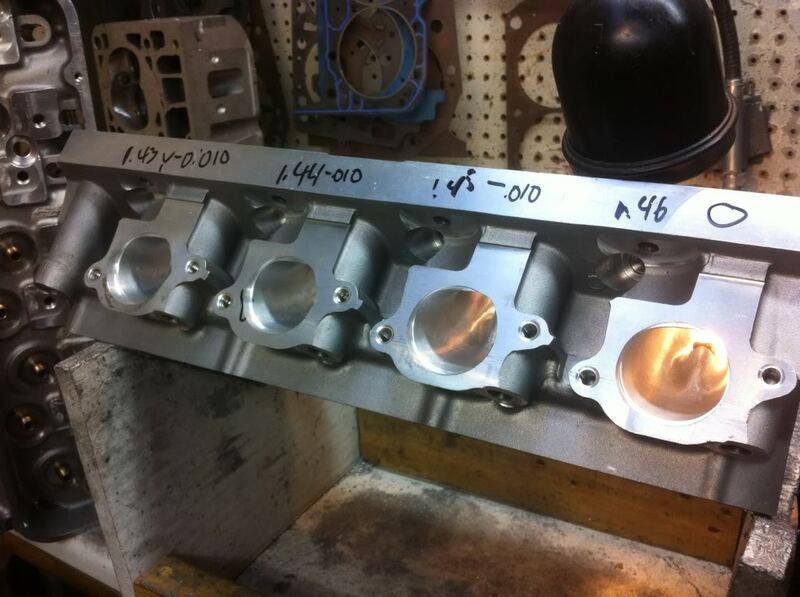 With a .015 clean up cut, the combustion chambers came in at 69 CC for a final compression ratio of 16 to 1. 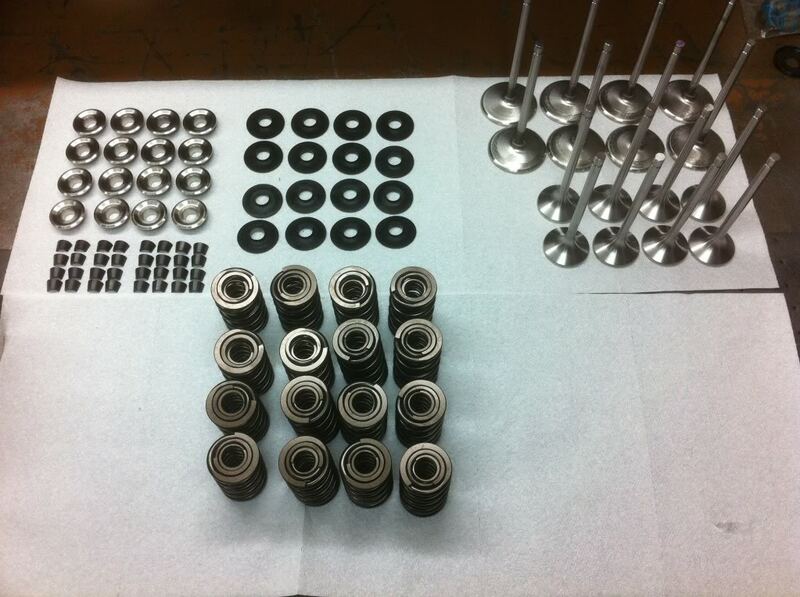 The heads are finished off with the normal top quality stuff….PSI springs, Manley retainers, spring seats and locks. 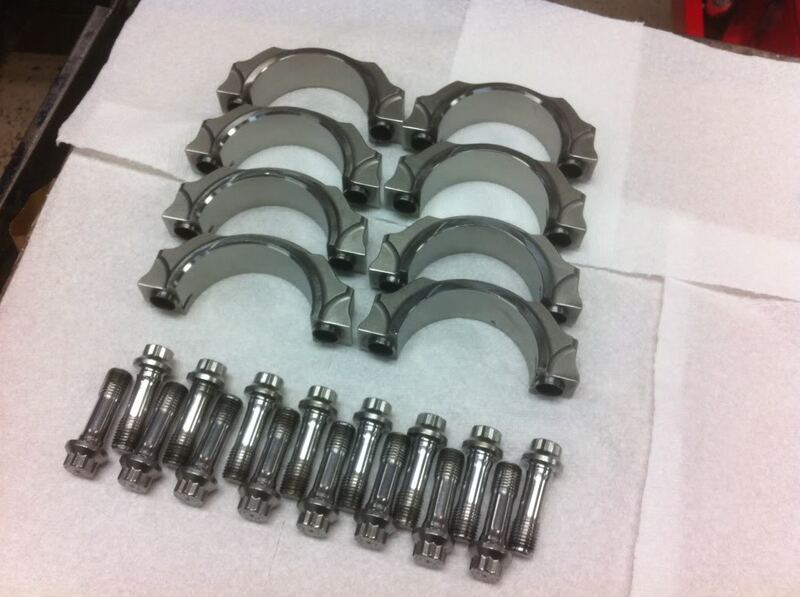 WW Engineering dropped off a set of their 1.8 ratio shaft rockers with one piece intake stands. 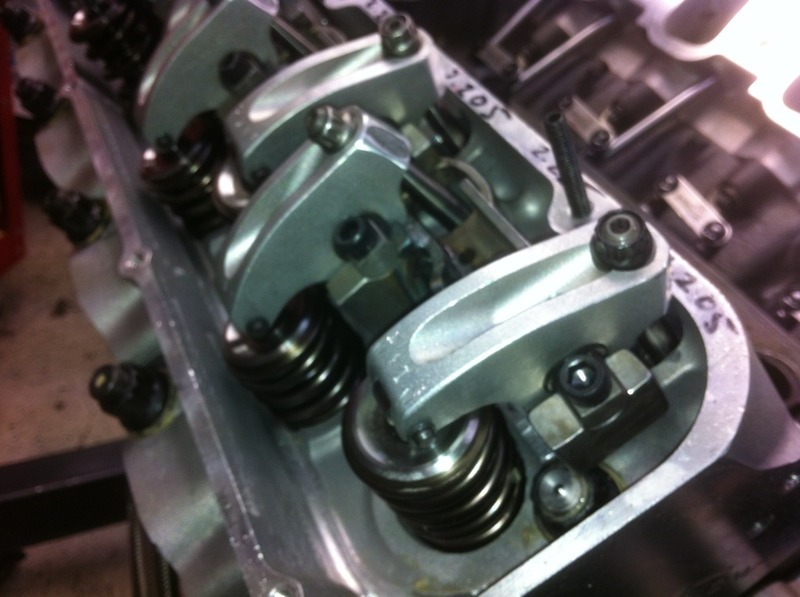 Trend double tapered pushrods 7/16” intake and ½” exhaust filled the gap from the Crower EnduraMax needle-less .937 “ lifters to the WW rockers. I took a normal Trick Flow A460 cast tunnel ram and ported on it for three full days to enlarge and “twist” the ports to accommodate the Interceptor intake ports. About 5 pounds of aluminum was removed from the ports. 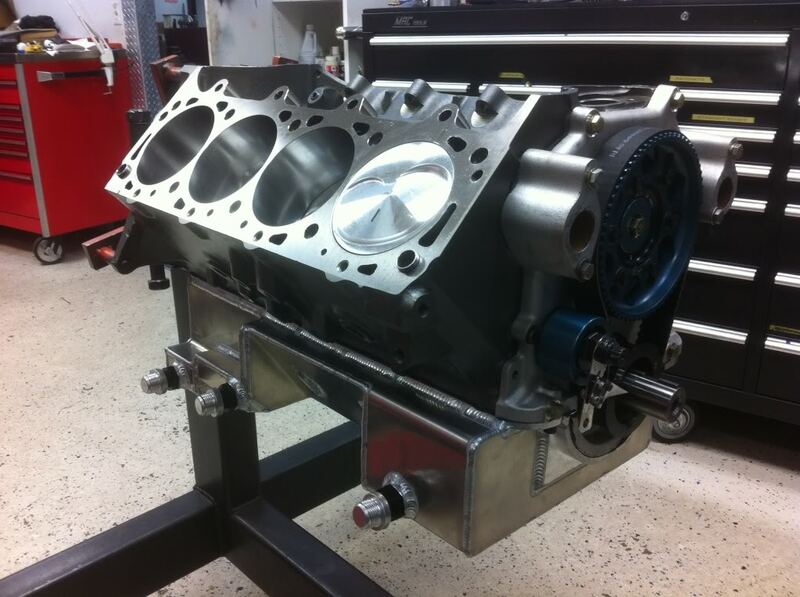 If the engine runs good, I will make a CNC program for this. 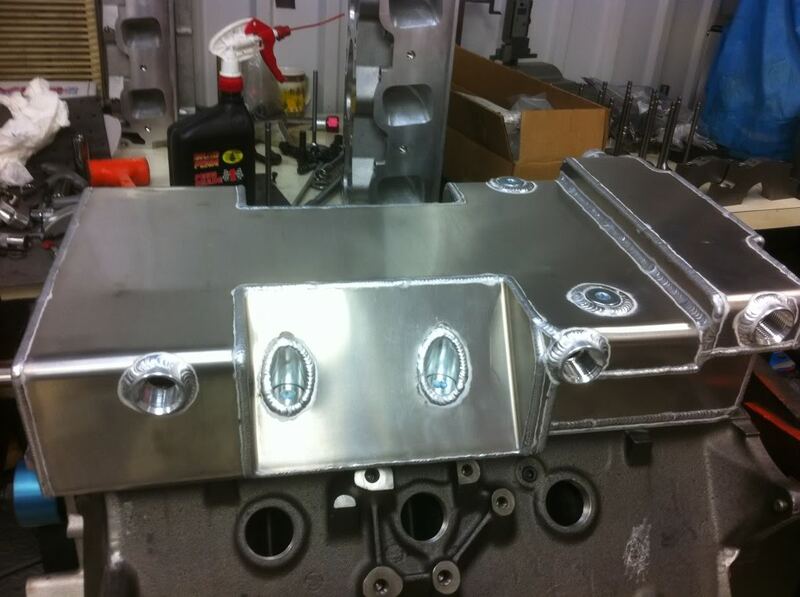 The manifold is topped off with custom KFM laser cut ¼” tops, one for the single carb tested, and another for twin carbs and Toilets. 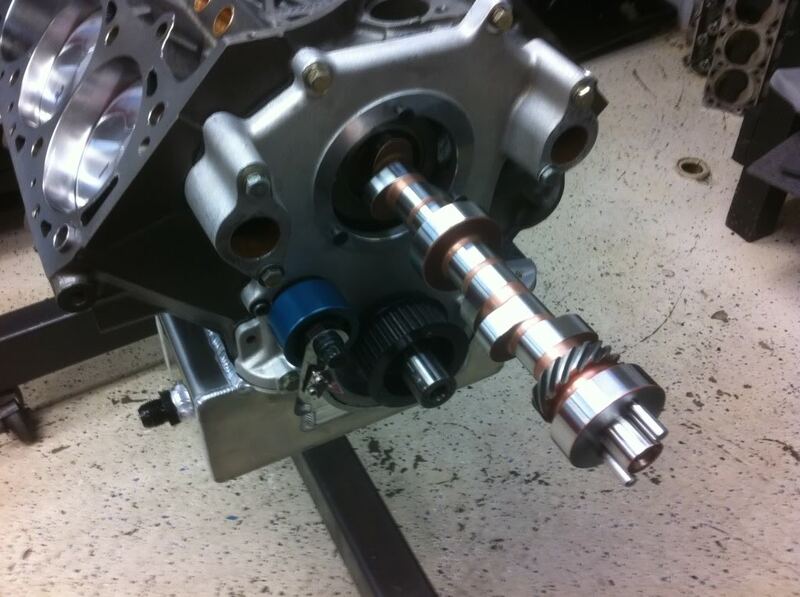 The engine is dressed out with a KFM laser cut ¼” motor plate, ATI balancer and MSD crank trigger setup and distributor. 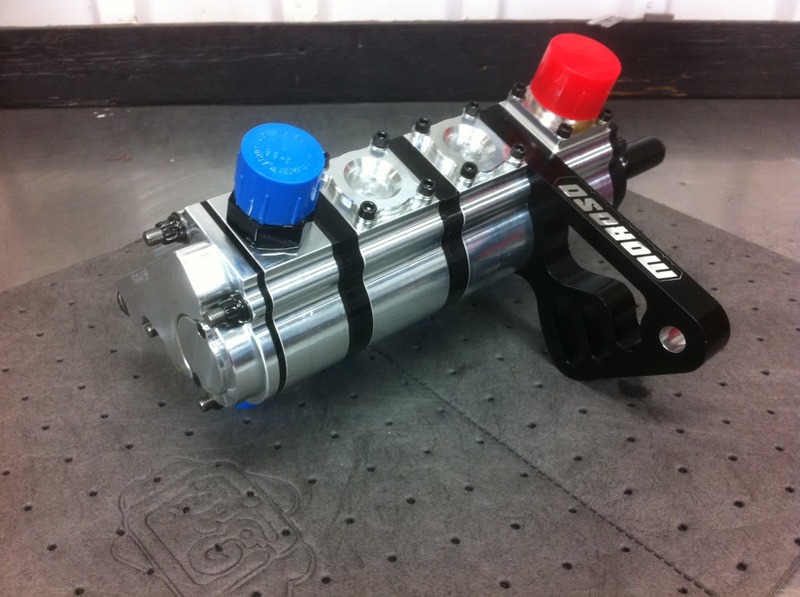 The KFM plate mounts the Moroso 4 stage dry sump oil pump, Moroso 4 vane vacuum pump and Ron’s #1 black fuel pump, driven by a modified Peterson steel mandrel with a mixture of Gilmer and radius tooth pulleys. The vacuum pump breathes through a Star vent tank, also mounted on the motor plate. 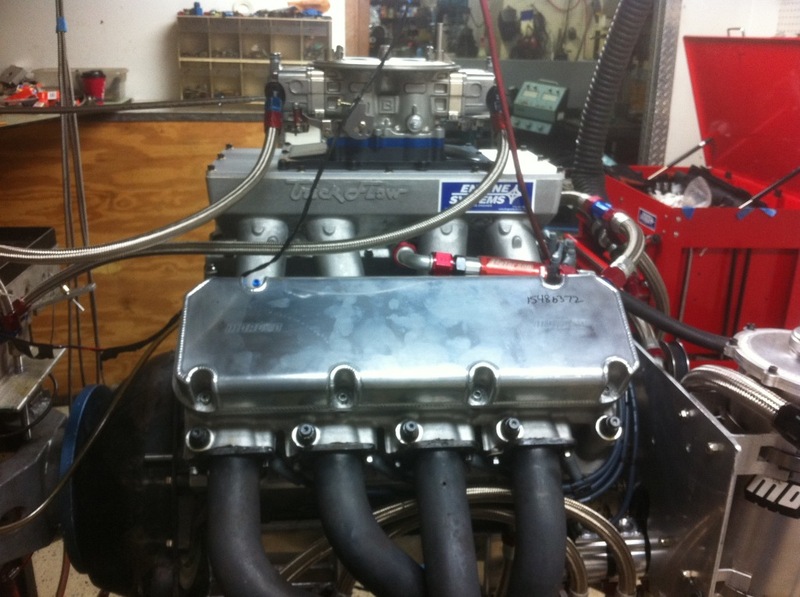 First dyno pulls were performed on gasoline and carbureted, to gather information that ESI needed for future development. 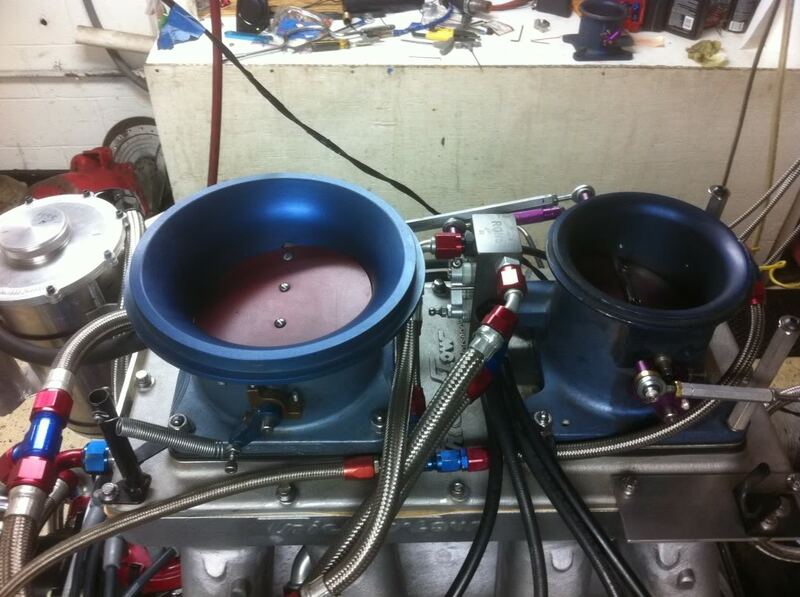 With a very large Braswell “Dominator” type carburetor on VP C14 fuel, the initial results were 1167 HP @ 7407. 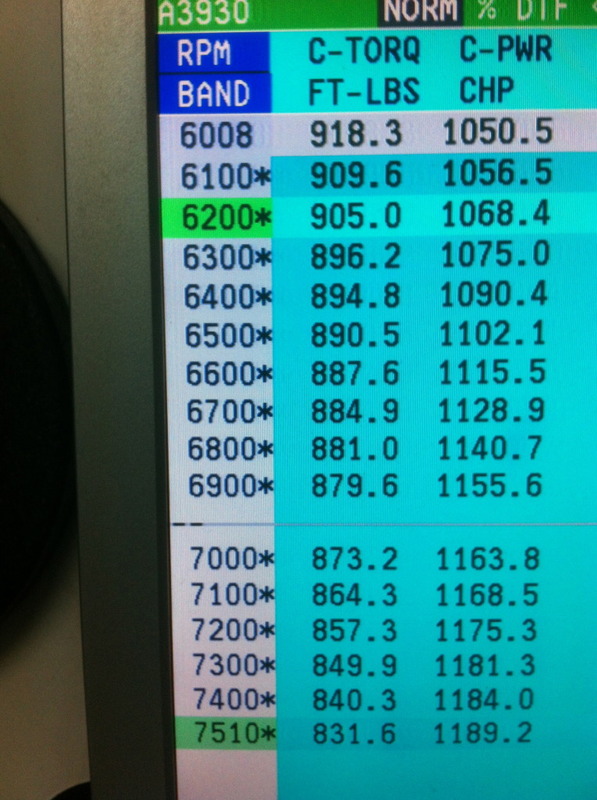 We did not start the pull low enough to catch peak torque, but it made 924@5800. The engine was still on the way up. I simply did not want to spin it very high at first. The carburetor did not belong to me, so no further tuning was done. After about 40 more pulls with various fuel systems, the same carb was reinstalled. 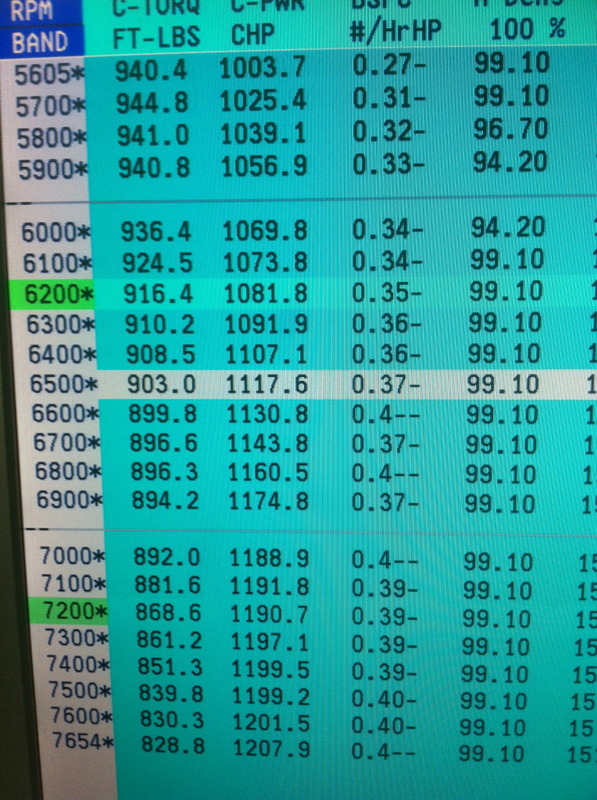 It then made 1189 HP at 7510 RPM with the power still increasing. 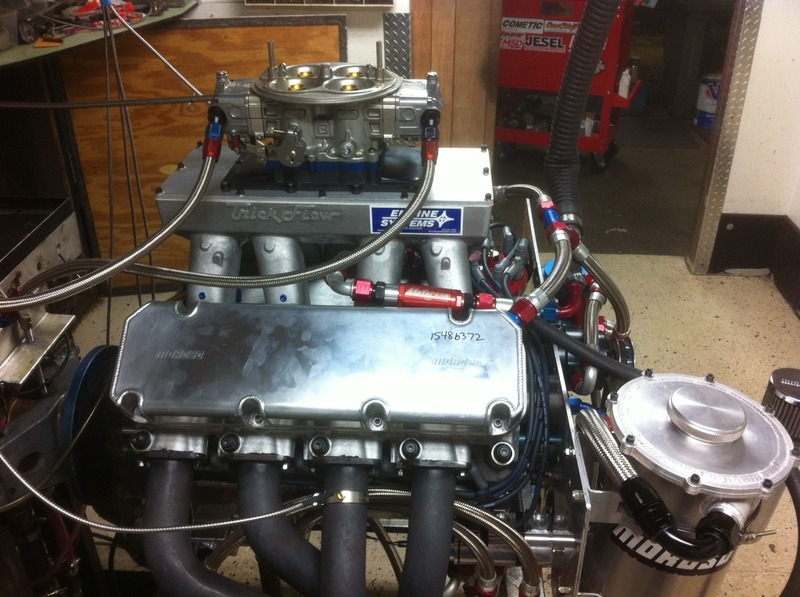 It was clear that 1200 HP would be possible with tuning and a little more RPM on a single carb. 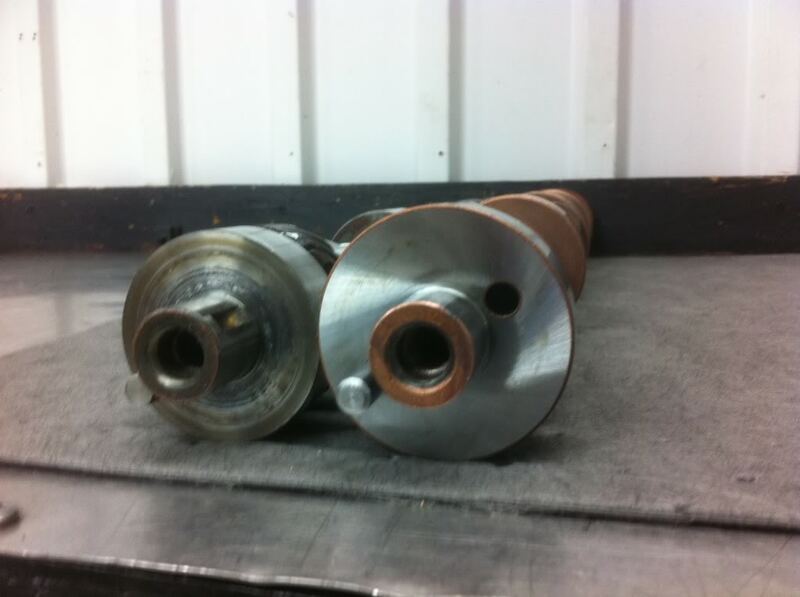 The next test phase used a different manifold top and a pair of loaned DaVinci gas Dominators with no shear plates. 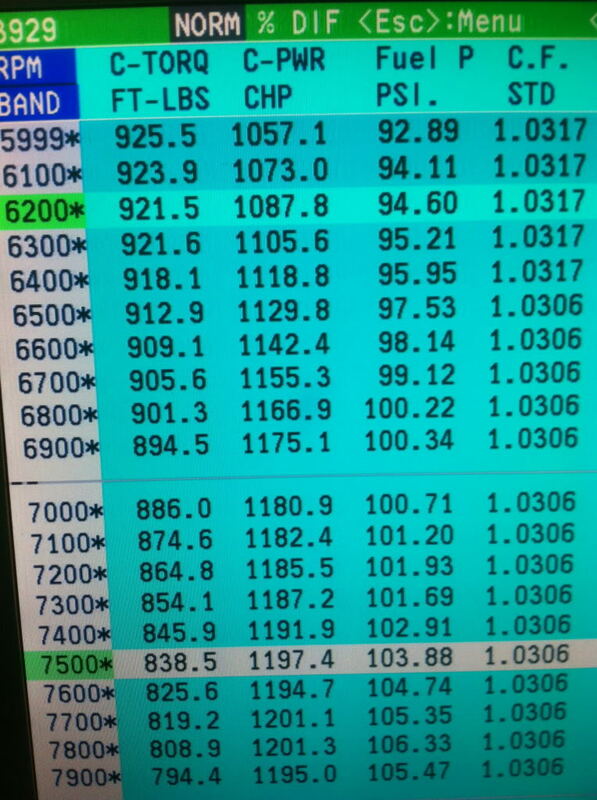 We only made a couple of pulls, but the engine made 1207.9 HP at 7654…still climbing. Again, since I did not own these carbs, I did not even pull the bowls off. No tuning was done. Now it was time for MY fuel system. I made several pulls with twin 4” Flying Toilets tweaking the fuel curve with various bypass valves and main bypass settings. Finally I installed a 5” Flying toilet in place of the front 4” unit. The results were impressive, attaining 1201 HP at 7800 RPM. It was apparent that I need more air. In review, the 618 Interceptor seems to be a successful project. I wanted to stick with a 4.5 stroke and 6.8 rod for a more favorable rod length to stroke ratio. I am sure that more power is available with a 4.75 stroke 652” version of the same engine. 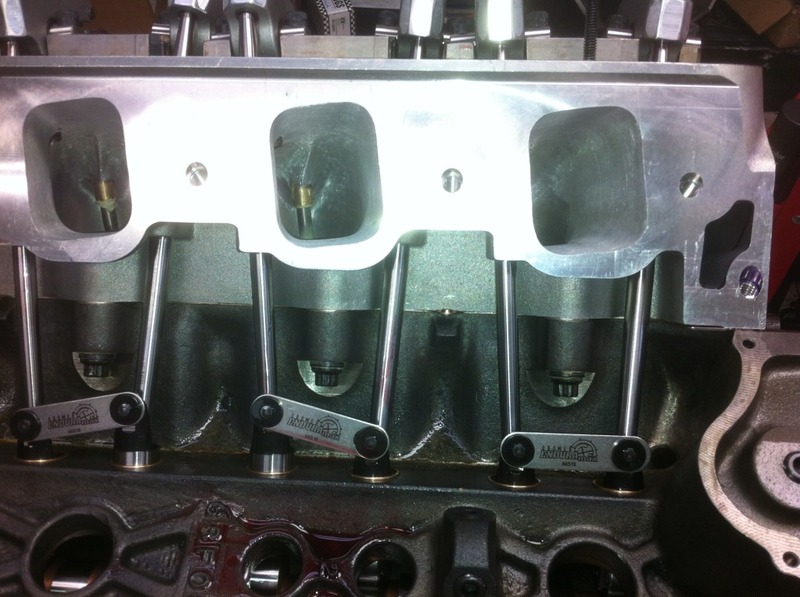 I am also sure that I never saw the true potential of the Interceptor heads, since I shut the engine off before it nosed over on the dyno tests. 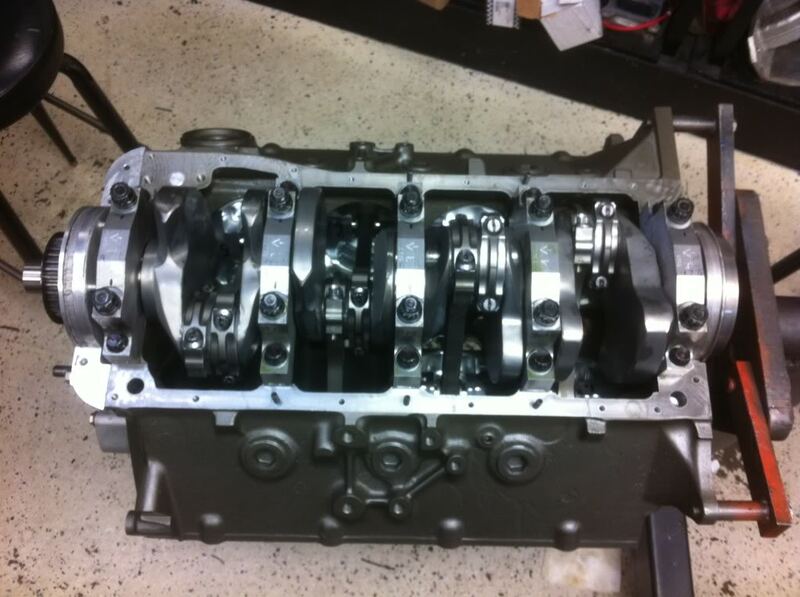 I simply needed this engine for my car and could not risk damaging it. The engine is in the car and only had 4 test passes on a cold track, that kind of scared the heck out of me. It is for sure not the same as my old 605 A head engine. I think the 1958 Custom 300 should run in the 8.80s at about 156 MPH at 3600#. The engine is now receiving a new manifold top that will mount three Flying Toilets. Two 4” Toilets will be linked by another 4.1” Toilet in the middle. 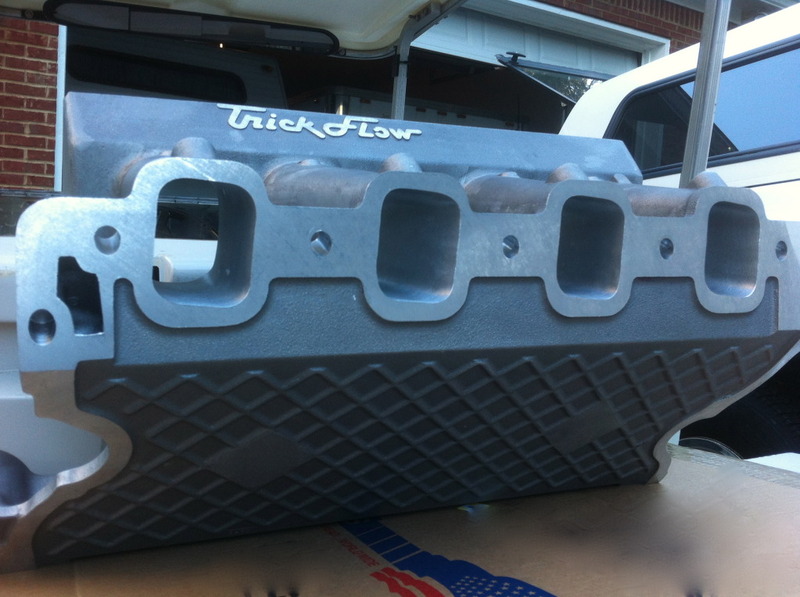 I plan to make a billet runner manifold for this engine later in 2013. I know the Trick Flow part is very good. 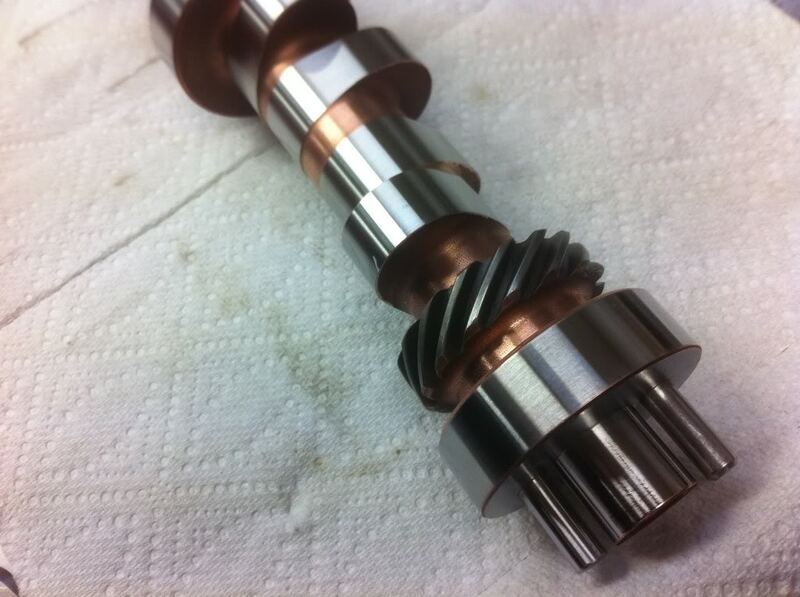 The billet runner test will validate a few more ideas. 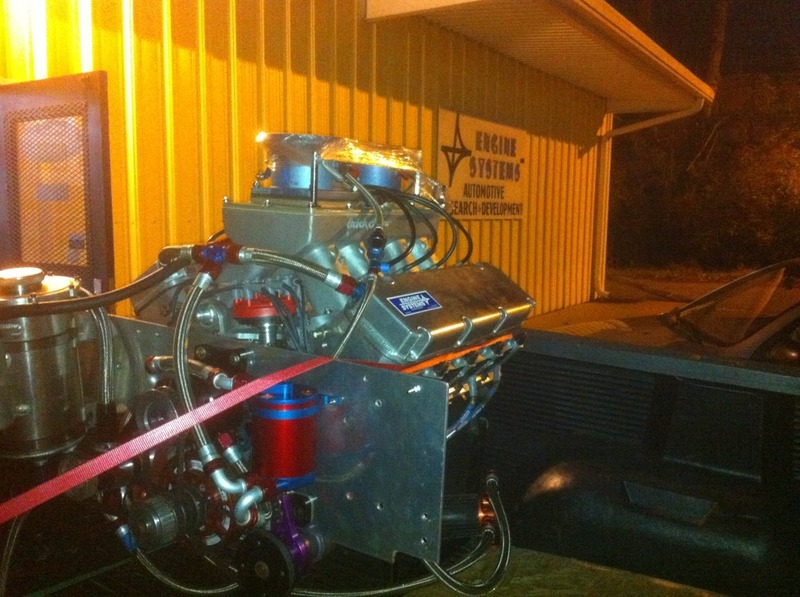 Big thanks to Ted at Engine Systems for the training...coaching...and abuse to his shop. 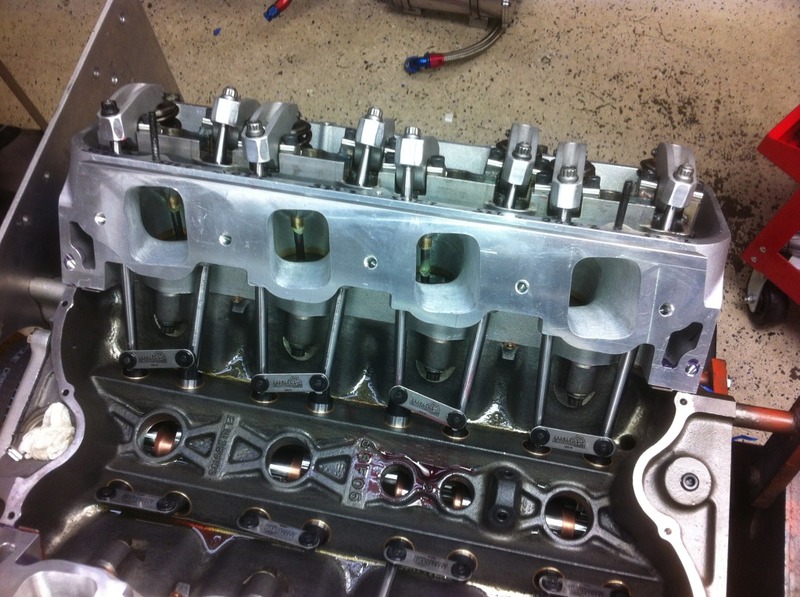 The following few posts have several pictures that show various phases of the engine development. KFM 618 Pictures #7 - OK thats it! It was harder to post all of the pics, than to build the engine,. How many hours you figure you have in the project? Pretty close to a gazillion. Nice! The '58 is going to have its hands full! not many folks know how many hours you've put in on this project. great work Keith! thanks for the pic's and info. 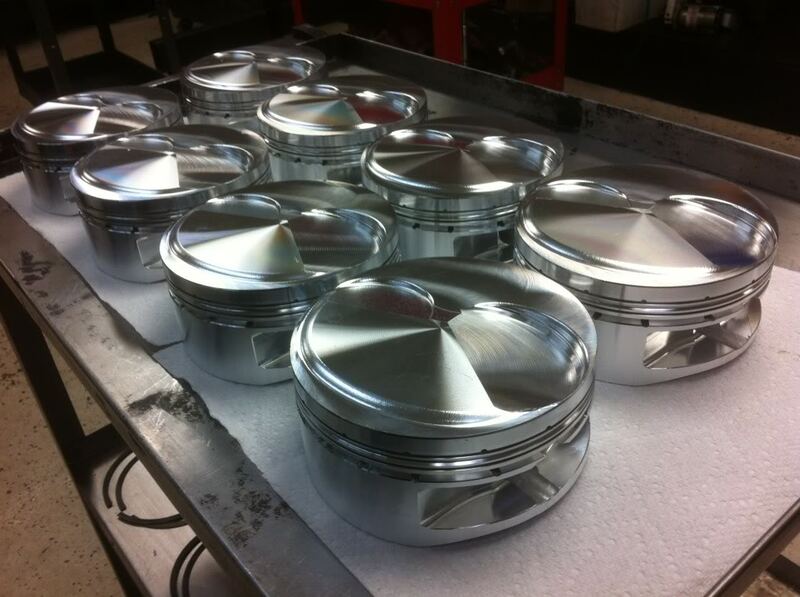 Great work Keith , do you think you could build a set of c heads that out hp/tq the existing build ??? Thanks for sharing this info & it's always nice to see people with the drive & ability to further the bbf! Wow, awesome build. Awesome numbers to. Appreciate you sharing the pictures and info. 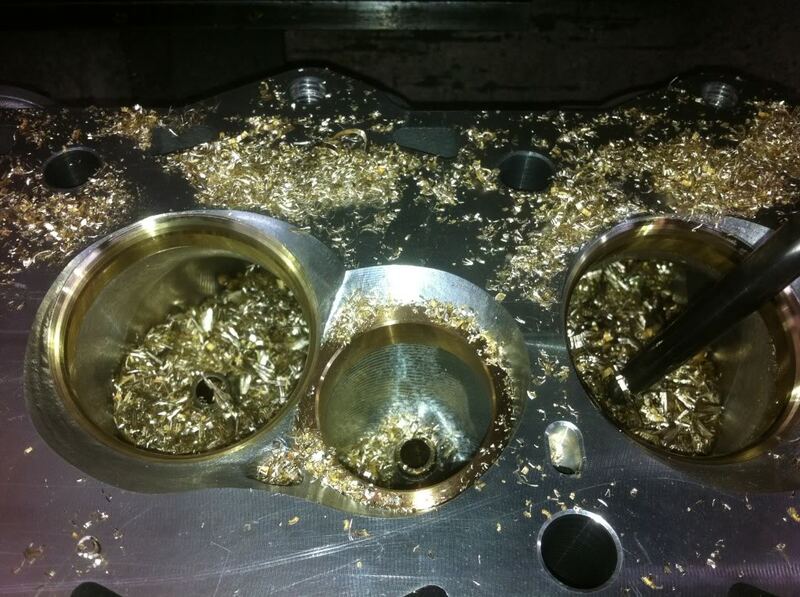 bruno wrote: Great work Keith , do you think you could build a set of c heads that out hp/tq the existing build ??? That is a tough question. 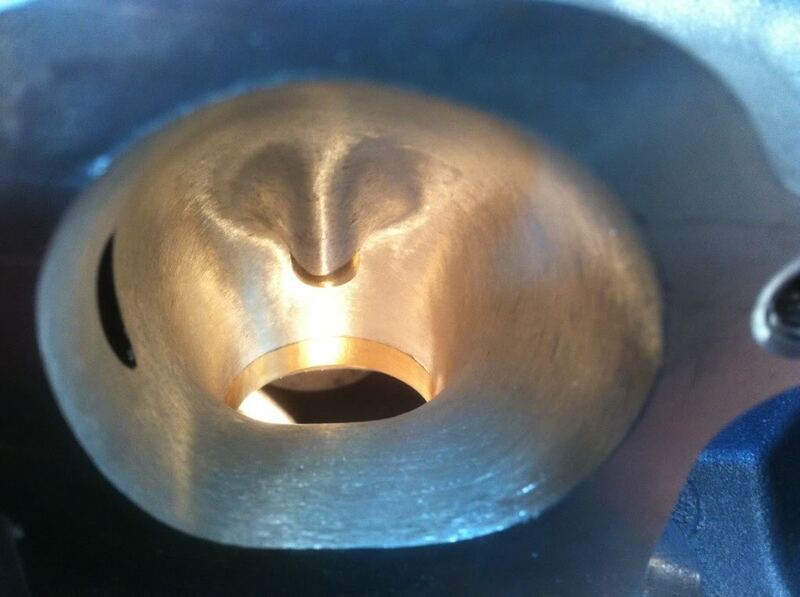 The C head, ported properly is a fantastic head. I never intended to take anything away from the C legacy or compete with them. We just have lots of customers who run in pulling classes where C heads are not allowed but the A head is OK. That is kind of how this project began...plus I wanted 5 or 6 MPH more in the '58. We have some great head porters with lots of experience in our community. I am not one of them. I went in to this project rather blindly, knowing what I wanted the intake port to look like, and being challenged to snake it through without relocating anything or welding. I just fell in to a combination that seems to work. I personally do not have enough experience or knowledge on the characteristics of the C head to comment on improving them. 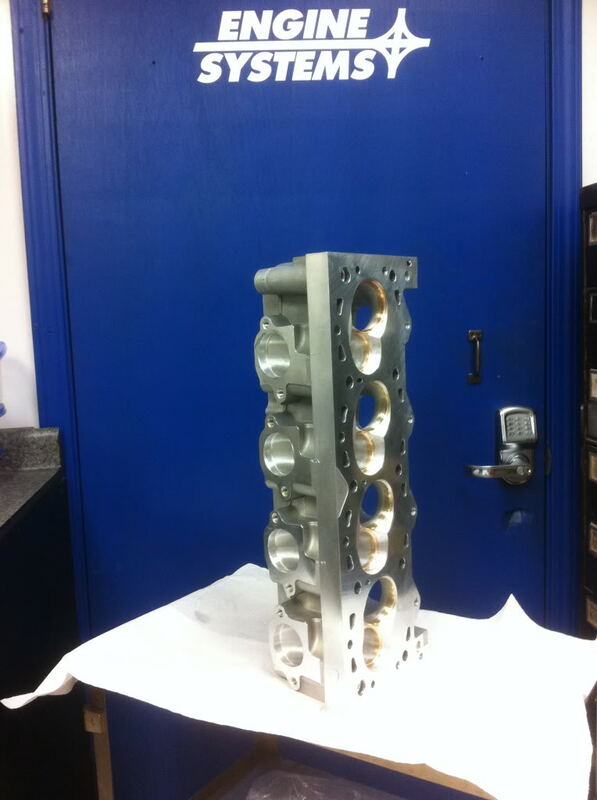 So the million dollar questions is.....how much to duplicate the head and intake package? 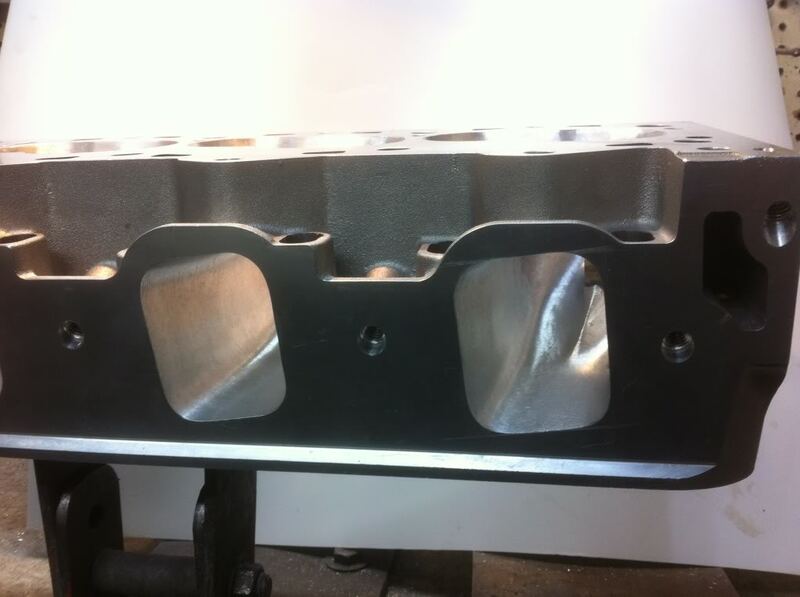 yellowhorse7 wrote: So the million dollar questions is.....how much to duplicate the head and intake package? There are a few options, but a pair of full boogie heads with titanium valves and beryllium copper seats fully assembled would be a little under $7600. Those would duplicate mine on the 618. A new ported tunnel ram with no top would be roughly $1500. During this year, I am going to do a set of a more conservative spec and put those on a 598-605 for a test. 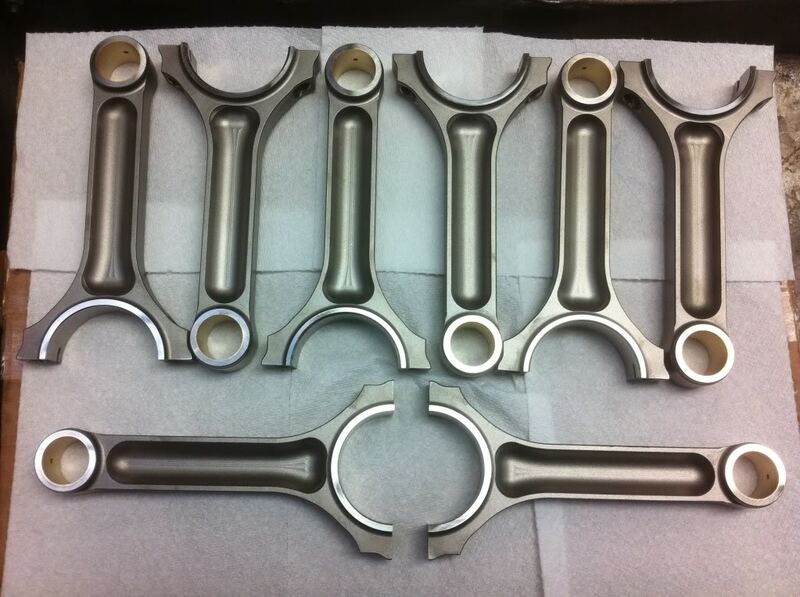 I also will "twist" a single 4 manifold.